It seems like it was just yesterday that it was announced LRT was coming to Waterloo Region and all of King Street would be closed. Just like each and everyone of you, we have experienced the traffic jams, running a little bit late to work, figuring out the daily detours but that is all coming to an end very soon! If you haven’t heard or seen already, we’ve got the official scoop for you. LRT trains have arrived and have begun testing the local routes! This will hopefully mean not arriving to work late. But an even better reason to look forward to the completion of LRT is knowing how the new ION system will make living urban locally even better. Living in the Uptown and Downtown core, we enjoy a condo driven lifestyle, meaning that more often than not, residents choose condos for the lifestyle and convenience over price. This is exactly what the ION light trail transit intends to provide. By operating separately from traffic, rapid transit is a more efficient, reliable, convenient, and effective way to travel in the core. 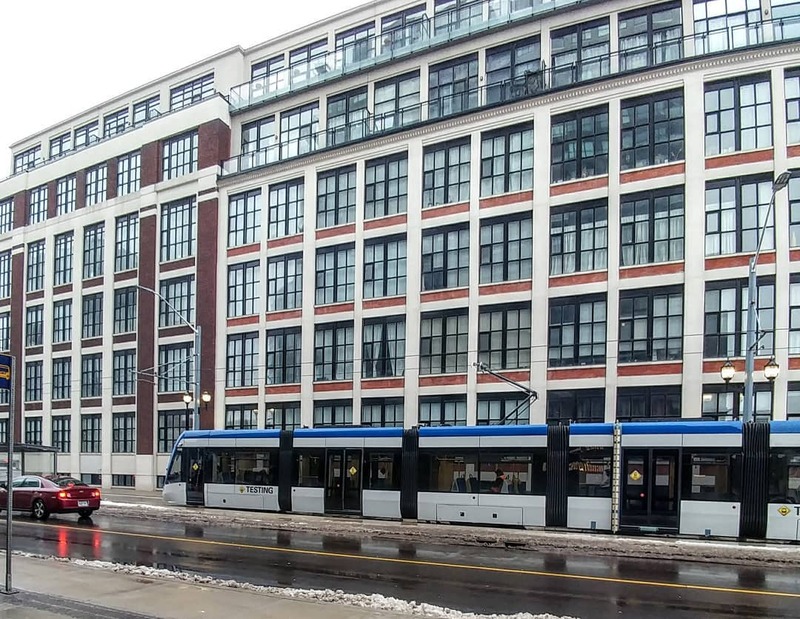 Here at Condo Culture, we are especially looking forward to having the LRT up and running because a number of the existing condos as well as those already under construction have one important thing in common...many of them, especially those recently built or under construction are mere seconds away from an LRT stop! Located between Uptown Waterloo and Downtown Kitchener, is this new and upcoming urban condominium. As construction is coming to an end, residents can soon look forward to living a distinct urban lifestyle. This trendy mid-rise condo on the new light rail transit line borders a great mature neighbourhood great for morning runs and is only steps away from Google’s Development Centre! Talk about condo living like no other! Welcome to CIRCA 1877. This far from ordinary condo will be in the centre of boutique shops, restaurants and once again the light rail transit line. Fusing historical brick and beam elements from the Brick Brewery with modern architecture, CIRCA will definitely be one amazing place to call home. Did we mention it will have a landscaped sixth floor, sky terrace complete with pool, lounge and cabana? Pretty nice! If you appreciate a life of luxury and prestige, a new and exciting level of luxury will be offered in this exquisite 23-storey condominium coming soon to the Bauer District. Not only will you experience upscale living but a short walk to Vincenzo's, Bauer Kitchen, Condo Culture and Waterloo (we couldn't resist) and the nearby Allen St. LRT stop will leave you feeling cheery! Completed in 2016, One Victoria rises 19 storeys and was intelligently designed with crisp angles and modern curved glass. Located at the corner of King and Victoria Street in #DTK, you are surrounded by some of the best coffee shops, bars and restaurants in the city. Not to mention, the future Transit Hub will also be right outside your doorstep enabling easy trips to Toronto via GO. Now that’s convenient! City Centre is definitely one of our favourites. Right in the center of downtown Kitchener at the corner of Duke and Young next to City Hall. The nearest LRT stop is directly across from the building making it easy for commuters. This 17 storey high-rise features striking architecture throughout with phase 2 being released soon. Reach out to us to learn more. All in all, we can’t wait for the ION LRT to start operating in the Region. With ION at full swing, you can look forward to an increasingly convenient lifestyle and a truly urban Condo Culture continuing to grow in the Kitchener-Waterloo area.